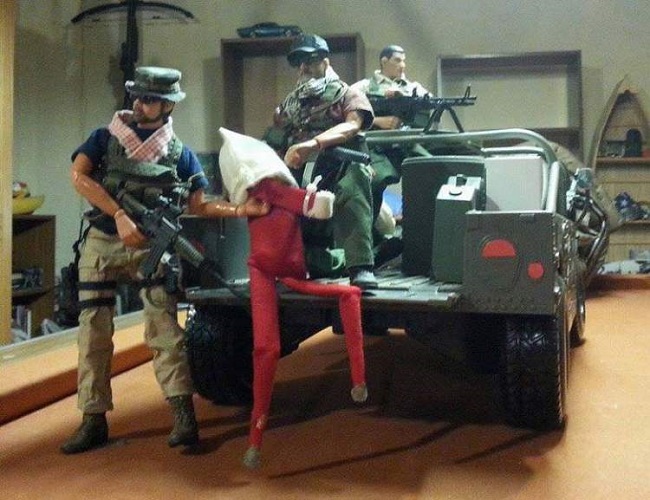 Elf on the shelf has become something of a tradition in recent years. The idea is simple: Every night when the children are sleeping, move the Elf to a new spot in the house. The kiddos will think it's the Elf moving around the house and causing mischief. But, what happens when you don't have kids and feel like having a little bit of adult-themed fun with the little doll? Today we take a look at eight different ways people used the Elf on the Shelf in a way that's just a little bit much. We also did our very best to keep it safe for work!